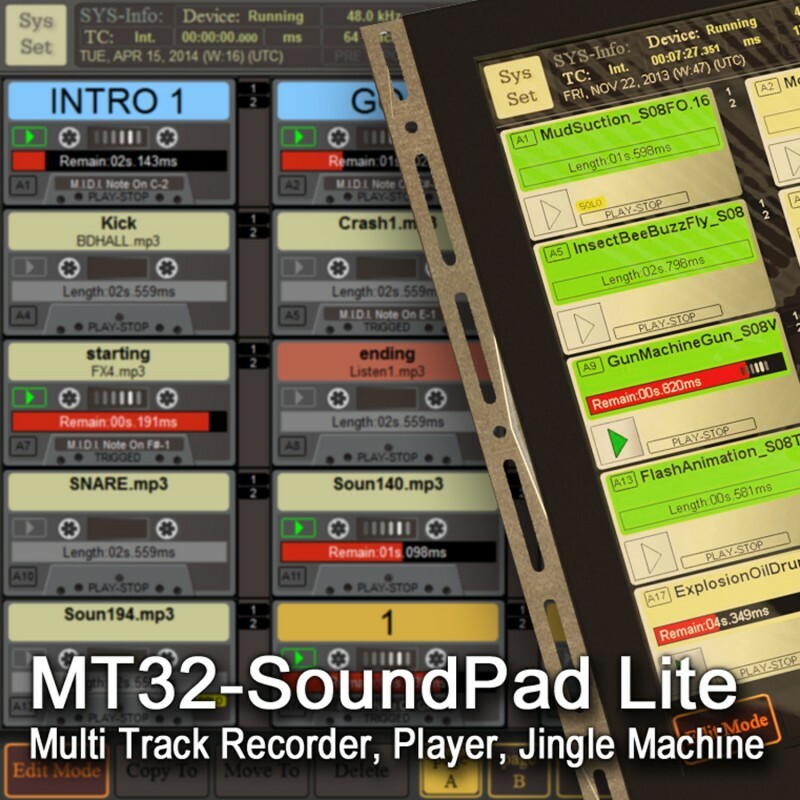 MT32 SoundPad Lite is a 32 tracks audio recorder, player and playout system endowed with a touch screen compatible graphic user interface. MT32 SPlite is dedicated to live environments and operational situations. The Multitrack Recorder and Player is working as a Studio Multi Track Tape Machine. the integrated SoundPad allows to launch sounds on the fly by Buttons or Playlists. MT32-SPLite is distributed as donationware. Adjust the license price according to your means or usage and get your activation code now! Download & User manual: www.mt128.com. WARNING: MT32-SPLite version is without "Project Manager".